"Following a successful first season in Division 1 last year, Assala are ready to up their game and continue to develop their strong roster for another year. 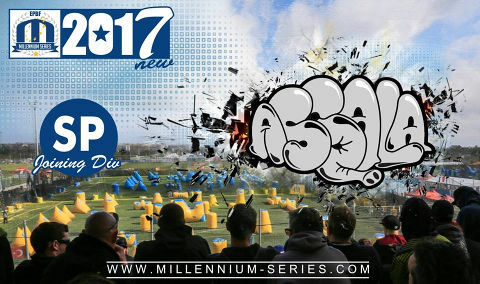 This year will see Assala compete in SPL and Division 2 at the Millennium Series fielding 2 teams to compete at all four Millennium Events as well as the French league for 2017. That's right, we took the opportunity of promotion to SPL on the back of a positive 2016 season, and more success for the 2017 season at SPL level led by our captain Charlie Waters, our Manager Patrice regnier and our coach Thierry Parent. A sister team will also compete for 2017 under Assala Legend in Division 2 led by the captain Fred Bacle to further expand the Assala presence at Millennium. Assala look forward to the season ahead and as usual welcome all to come watch us on field to support us but also join in the usual festivities off the field. 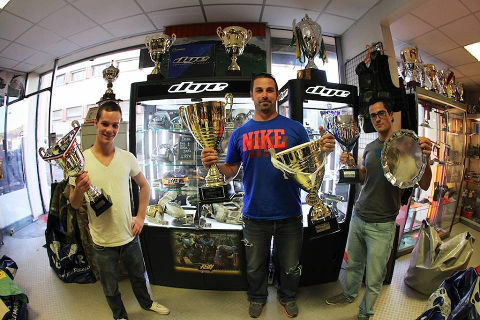 For more information follow us on Facebook at AssalaPaintball. See you on the field." We welcome Fivestar Lleida to CPL this year! "A dream come true! Playing among the best teams in the world has always been our goal and our desire since the team was created. It has not been an easy road, but now, the dream so persecuted is a reality, we will be there, and we will fight with everything and as we are known for, with soul, claw and heart. 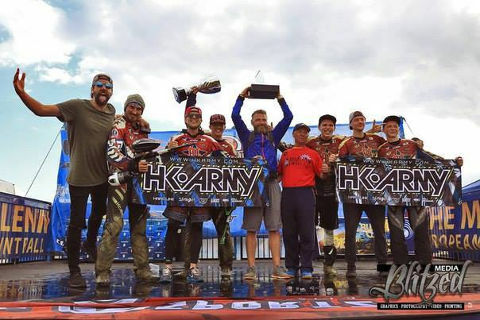 FiveStar Lleida has always made history in the Spanish paintball. First being the only Spanish team ever to reach the Semi Professional division and now making it to the Pro division. 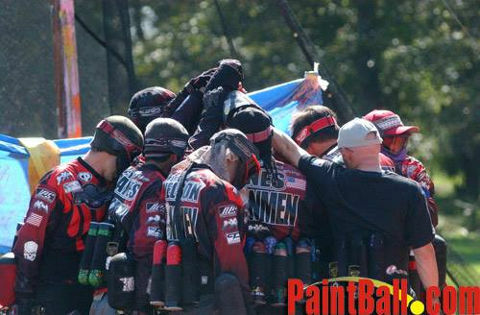 We want to thank the Millennium Series for the invitation to the CPL division and also our sponsors for their confidence and all their constant support throughout the years because without them this would not be possible." 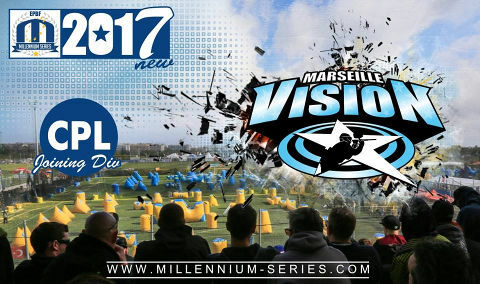 We welcome Vision Marseille back to CPL! Welcome to the last part of the Millennium Challenge! Just to remind you, that you still have a few days to answer the last question from February`s part #3! It will be closed on Monday (20/02/2017) at 12pm. Every person from this list has a chance to win 1500 EUR! Now it´s a time to find our the answers from January´s part! Question #10 from January: Which European team has the record of most wins and podiums? (Shockwave, Tontons, Art Chaos, Joy Division or Ugly Ducklings) The answer is: TONTONS! 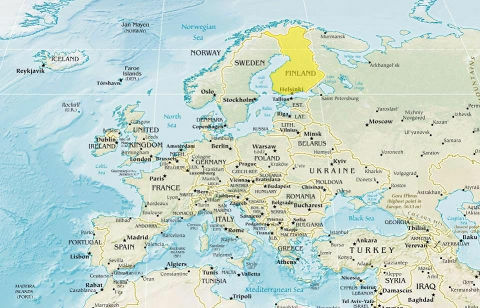 Question #9 from January: Which country has never been represented by a team at the Millennium series? 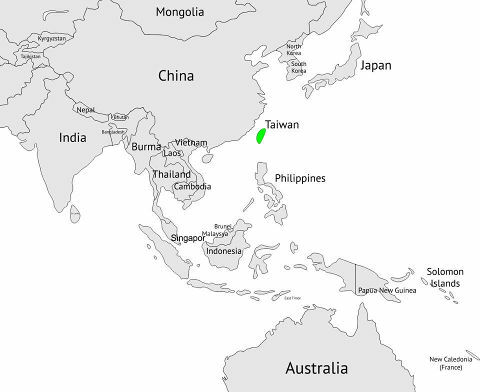 (Azerbaijan, Israel, Japan, Taiwan, Iceland). 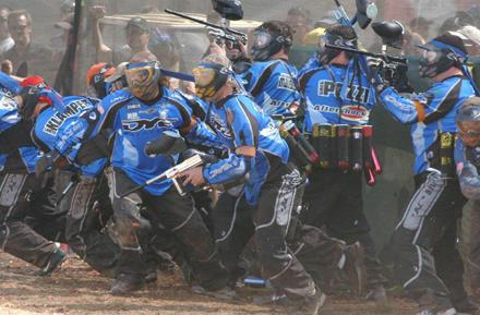 The answer is: TAIWAN ... has never been represented by a team at the Millennium Series. 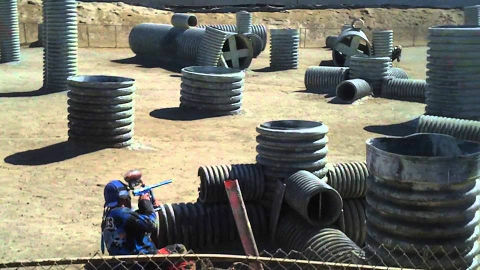 Question #6 from January: Which innovation in the tournament paintball has NOT been driven/invented/introduced by Millennium or its Board Members? Answer: it is HYPERBALL! 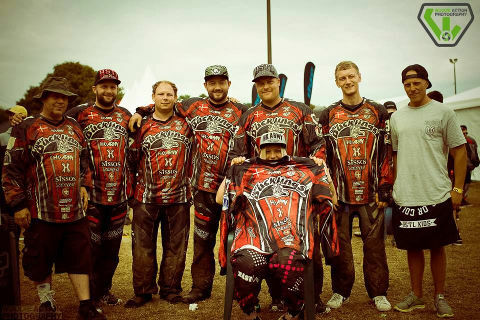 Question #5 from January: Which team had never had any of the MS Directors in their squad for MS events? 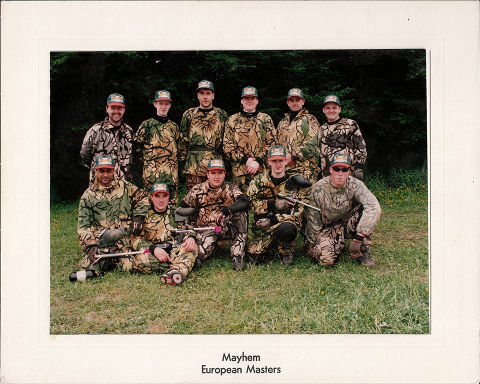 (French Misfits, Mayhem Tigers, Storm, Tontons or Wombles)? Answer: It was STORM! ... did you guess it? 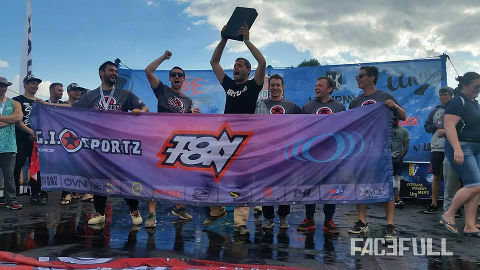 Question #4 from January: Which team has won all the European Xball events? (Joy Division, Dynasty, Russion Legion, Avalanche or XSV) Answer: It is RUSSIAN LEGION! 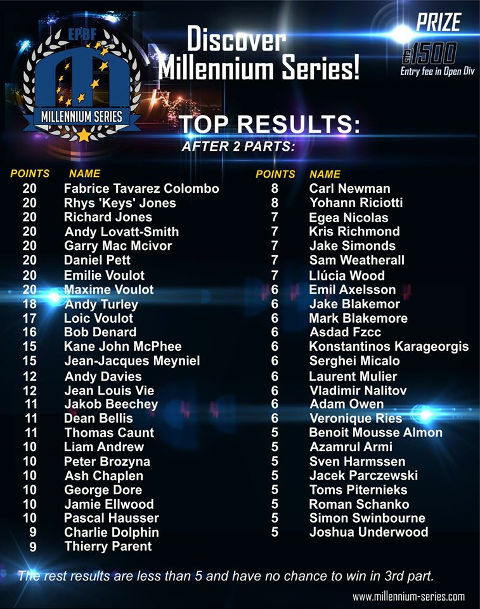 Question #3 from January: Which team has won all the Millennium events in the same Season? (XSV, IMPACT, ART CHAOS, JOY DIVISION, DYNASTY) And the answer is: ... Edmonton IMPACT! 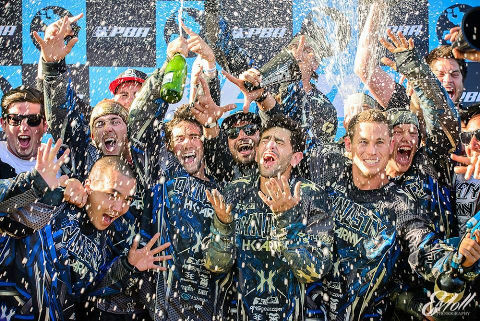 Question #2 from January: Which team has won most of the Millennium Seasons in PRO category since 1999? (Art Chaos, Dynasty, Tontons, Impact or Joy Division). Answer: guess who it was? Of course Dynasty! 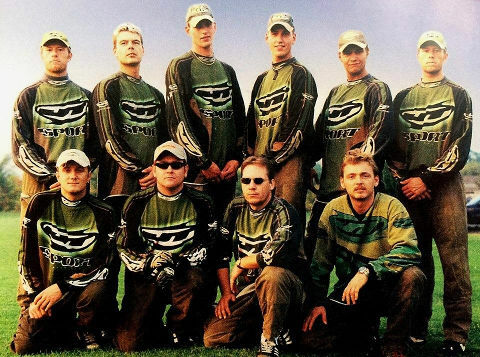 We start from question #1 January part: Which team has won the Millennium season in Pro and Amateur divisions since 1999? (Budapest Bullets, Art Chaos Moscow, Toulouse Tonton, SK Moscow, Joy Division). Answer: it is Art Chaos Moscow from Russia! It would be right to say, that we miss them on the field! 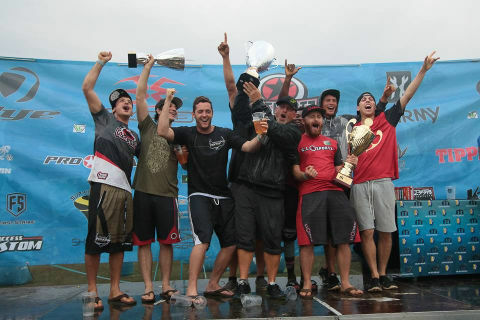 Question #10 from December: Which team won the Millennium Season in PRO category without winning a single event? Guess who it was? Of course ... Answer: Toulouse Tontons! Question #8 from December: Which of these American teams has never won a single Millennium event in PRO category since 1999? (Arsenal, Iron Men, Bob Long Iron Men, Image, Aftershock) Answer: It`s Aftershock! Question #7 from December: Which of these European teams has never won a single Millennium event in PRO category since 1999? 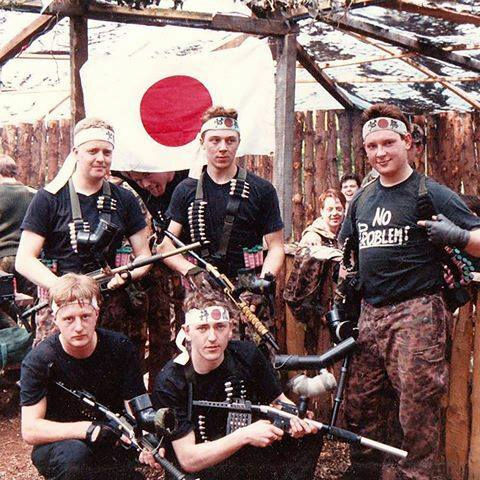 (Consilium Dei, Franfurt Syndicate, Menace, Camp Tigers, Banzai Bandits) Answer: Banzai Bandits (UK) ... remember that team? We do! Question #6 from December: Which team won most of the Millennium events in PRO category since 1999? Answer: San Diego Dynasty (USA)! 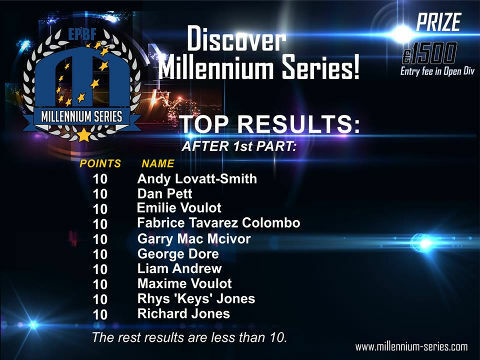 Question #5 from December: Who is the player which played the most of Millennium events? Answer: Frank Fonnes from Denmark. You should know him very well! 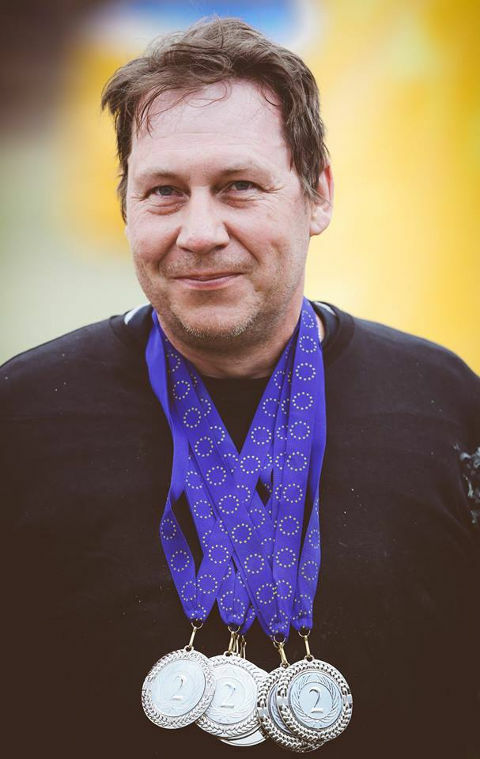 He is the Heart of Ugly Ducklings Odense team! 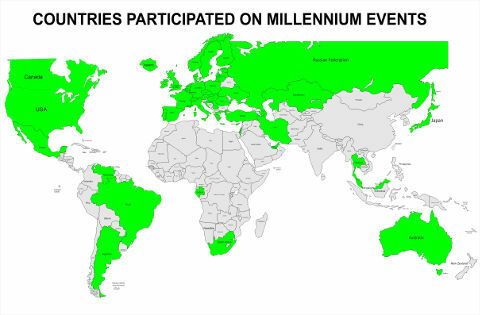 Question #2 from December: How many different countries were represented by teams on the Millennium events since 1999? And the answer is .....51! Can you imagine that? 51 contry from all ower the world! So, the question #1 was: How many countries the Millennium was running the evnts in? And the answer is 11. 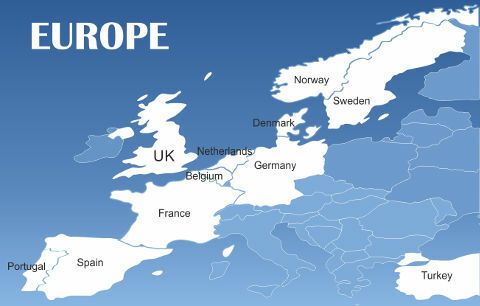 Yes, we spent a part of our life in 11 countries already: UK, Germany, Sweden, Denmark, Netherlands, Belgium, Spain, Portugal, Turkey, France, Norway... remember how it was? For the first 2 months you will have to answer 10 questions about teams, players, venues, events and much more. If you have answer all questions correctly, you will score 10 points. The last month, there will be only 1 question worth 15 points. (The correct answer or the closest answer will get the 15 points). Let’s see how good you are? 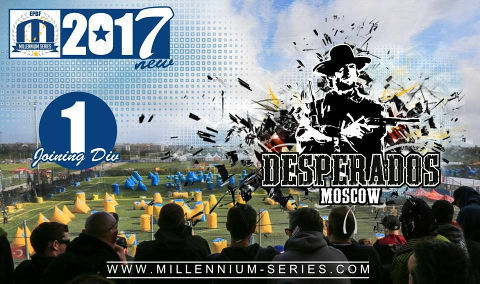 We welcome team Desperados Moscow in Division 1 this year! 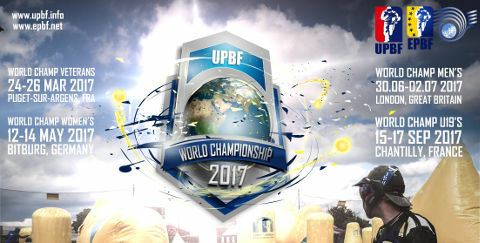 The EPBF would once again like to welcome teams from all over the world, as we host our 2017 World Championships across all four categories: Men’s, Women’s, Under 19s and Veterans. We’d also like to take this opportunity to invite interest for a disabled category, to potentially be hosted in Bitburg. Furthermore, we would like to show our commitment and dedication to the next generation of player, by making entry completely free for our member nations into the Under 19s event in Paris. One of our goals moving forward is how to structure and develop our youth player base, and we are working alongside all of our federations to achieve this. We’ve also decided to review our rulings on new teams entering these particular events. From now on, tie break situations following a five minute overtime point will no longer be decided by seeding, but move to a two minute, sudden death one-on-one. We’re expecting 2017 to be the biggest World Championship to date for our sport, so please register your interest as soon as possible! 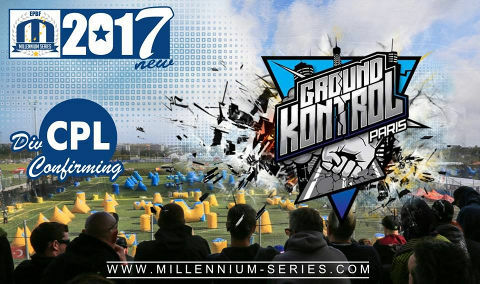 Ground Kontrol confirms the spot in CPL for 2017! 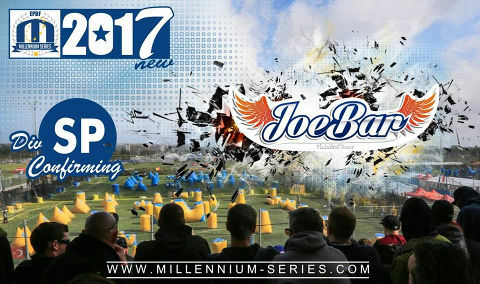 Joe Bar Pelissanne is to play in SPL for 2017, they confirm the spot! We welcome Vienna United to CPL this year! They will be the first ever Austrian team in CPL! Best of luck, guys! "For us as a team to have the opportunity to face off on the field at the highest level has always been the driving force behind our effort. 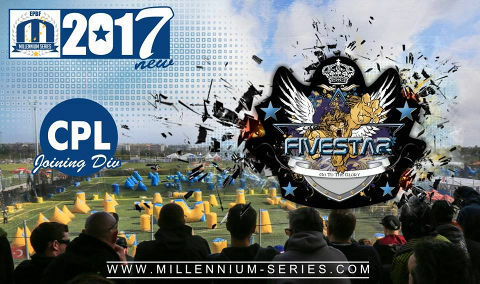 To be able to compete against the very best paintballers on the planet at four stunning locations, thanks to the Millennium Series, is a dream come true for all of us. 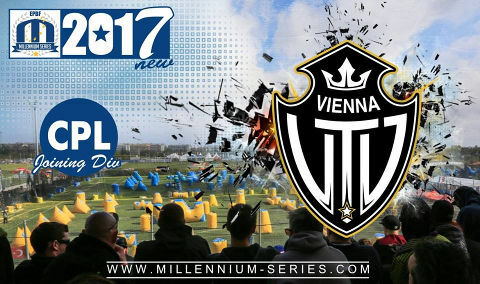 We are thrilled to write the next chapter in the legacy of Vienna United as the first ever team from Austria to make it to the Champions League of paintball and take on this challenge. We wish to thank our sponsors for their trust and their continuing support which enables us to play our best." 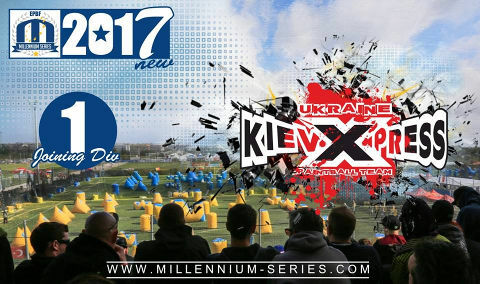 One more team from Ukraine in Division 1 this year - Kiev Xpress! Welcome and good luck, guys!